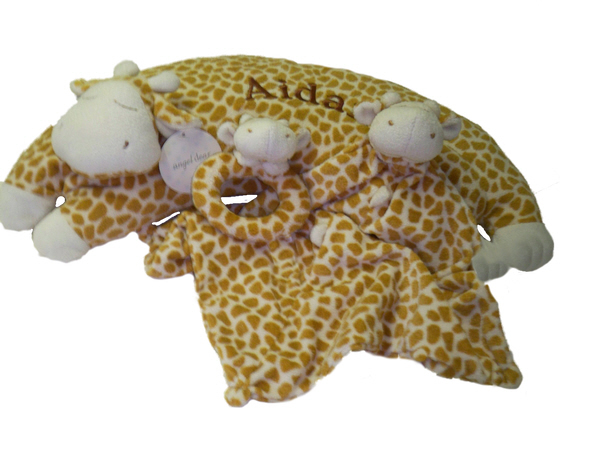 The ANGEL DEAR™ 3 Piece Tan Giraffe Set consists of a Curved Pillow, a Small Blankie and a Soft Rattle. They are made of ivory and tan giraffe print cashmere soft velour fabric. The face details are all embroidered. The pillow measures 20" long by 8" wide by 4" thick. The cover comes off for washing. The Blankie measures 14" square. The corners are "knotted" making it easier for your baby to grasp and to chew on. They are completely machine washable and dryable. The Ring Rattles are soft and they are great for tiny fingers to hold on to. The rattles measure 4 Inches. 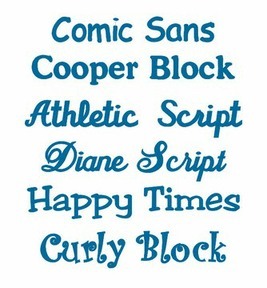 Price Includes one embroidered name on the pillow and blanky in either script or block lettering.